Complete your look with a floral choker! 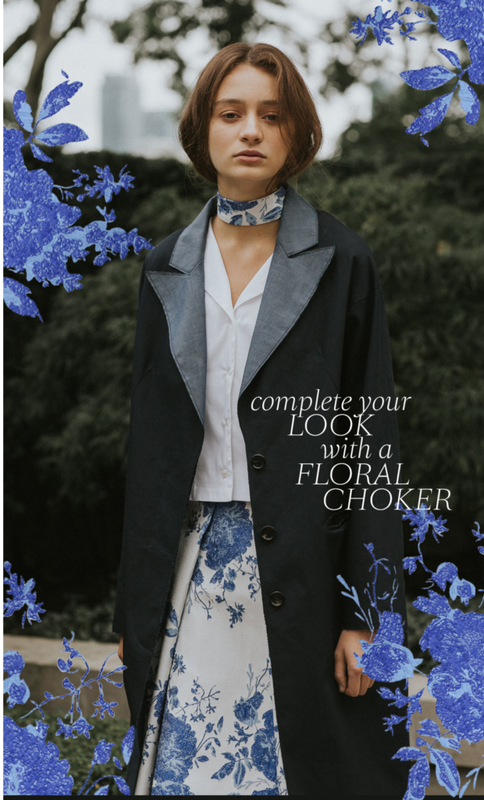 Purchase the Navy Chambray Coat, and receive a floral choker as a gift from Pink Tartan. Limited quantity available!